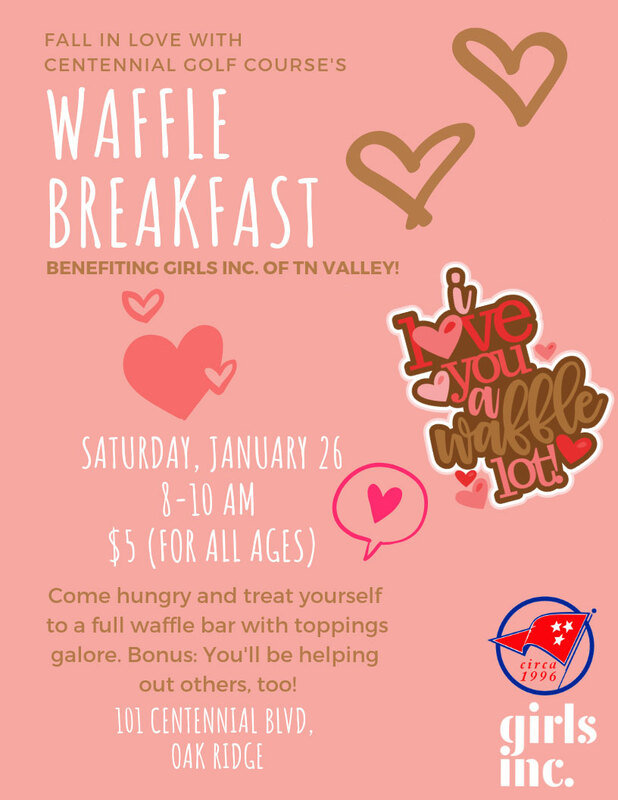 Centennial Golf Course has announced that it will host a waffle breakfast fundraiser to benefit Girls Inc. of Tennessee Valley. The event will be held on Saturday, January 26, 2019, from 8 a.m. until 10 a.m. Girls Inc. is an after-school, summer camp, break camp, and sports program for girls 5-18 years old. The organization began in 1976 and opened its permanent Oak Ridge campus in 2000 at 1798 Oak Ridge Turnpike. Girls Inc. has grown to be an integral part of our community and serves over 850 girls every year across Anderson, Roane and Knox Counties.